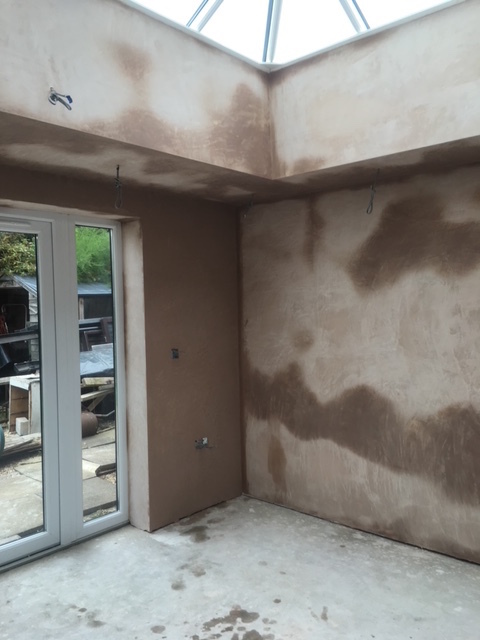 A dot and dab on all walls with plasterboard in garage and plaster smooth ready for decorating. 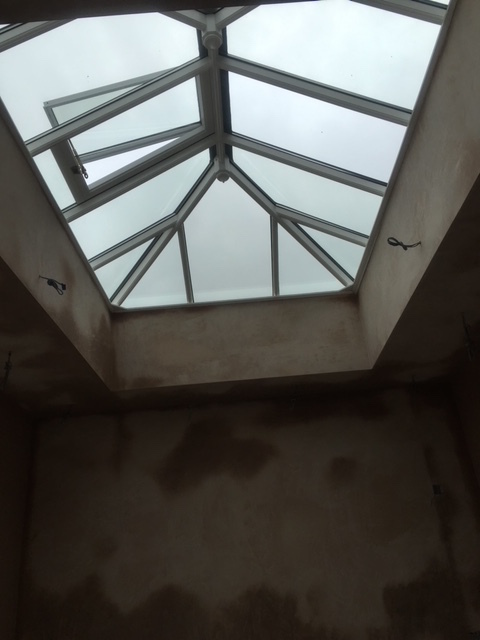 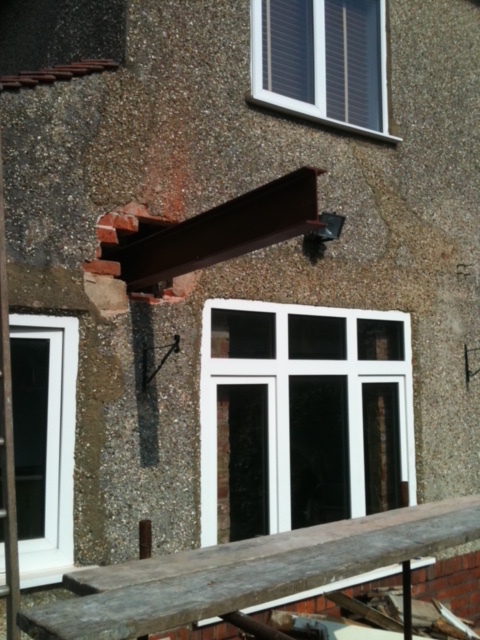 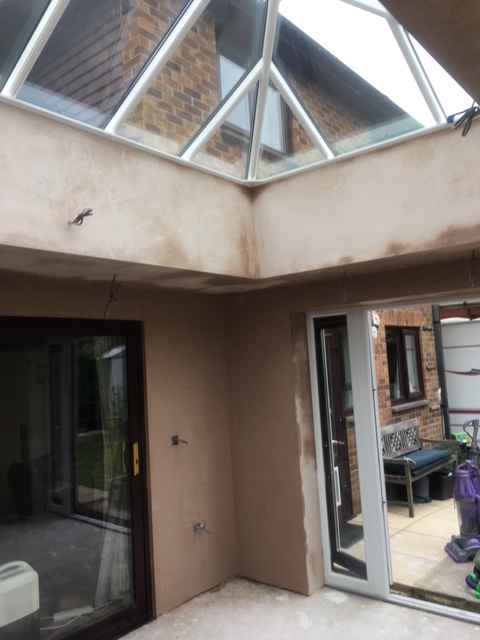 All materials supplied by Crowley Plastering. 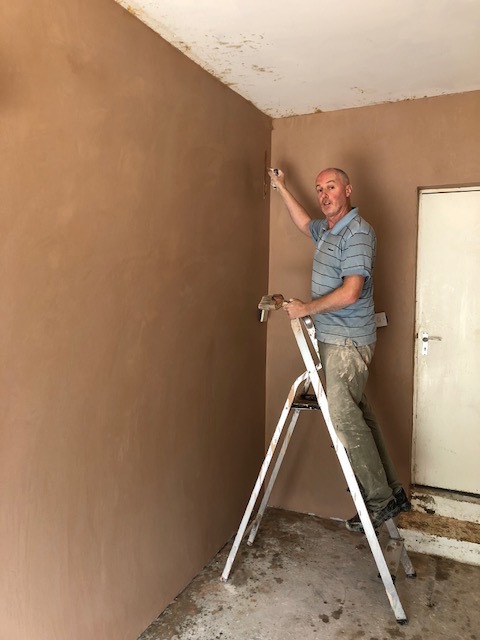 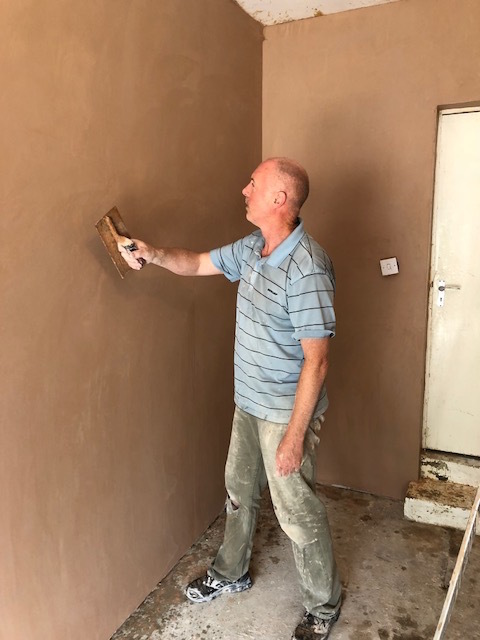 Summer room dot dab plasterer board walls and plaster smooth ready for painting. 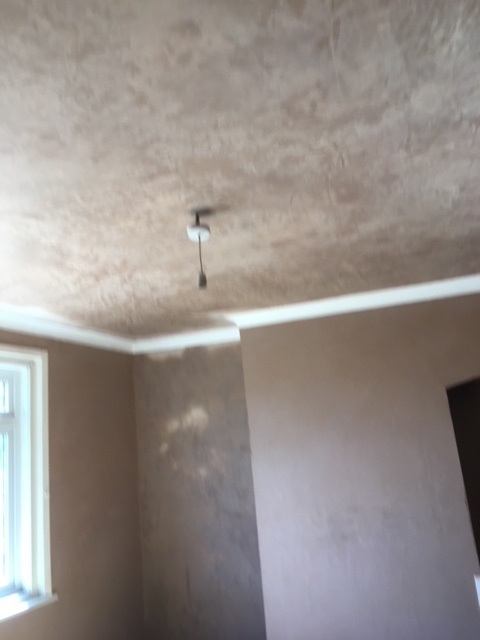 Ceiling and walls smooth ready for decorating. 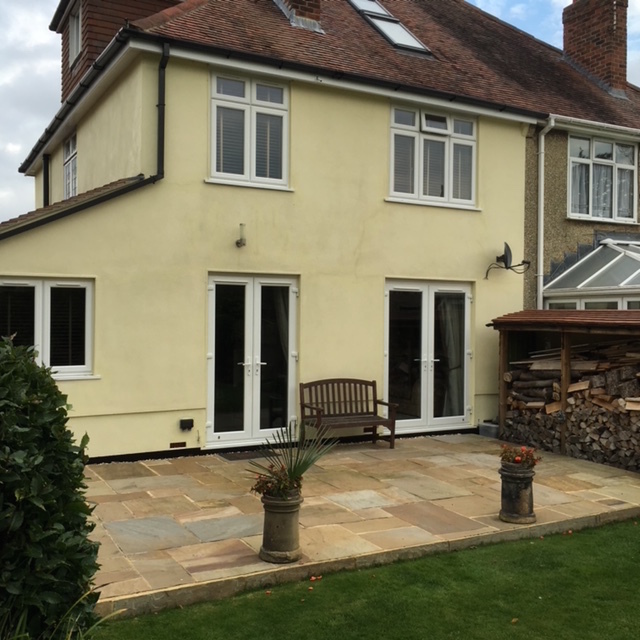 Render walls over pebble dash to a smooth finish and paint. 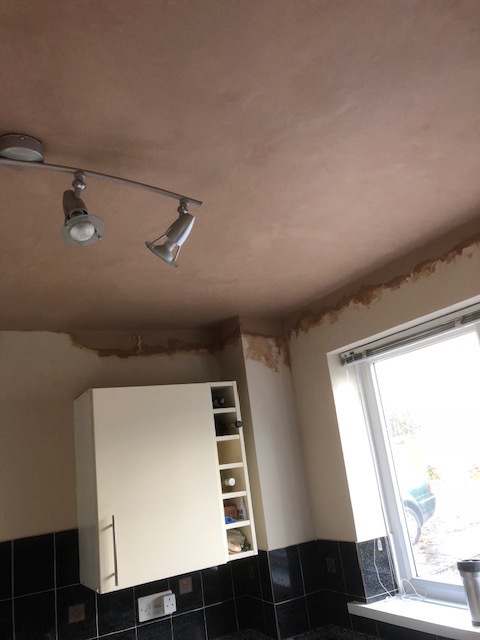 Plaster board over lathing plaster ceiling. 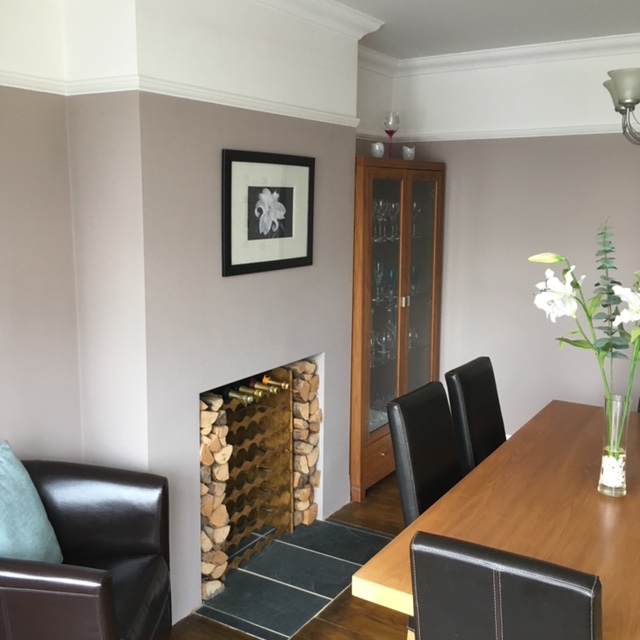 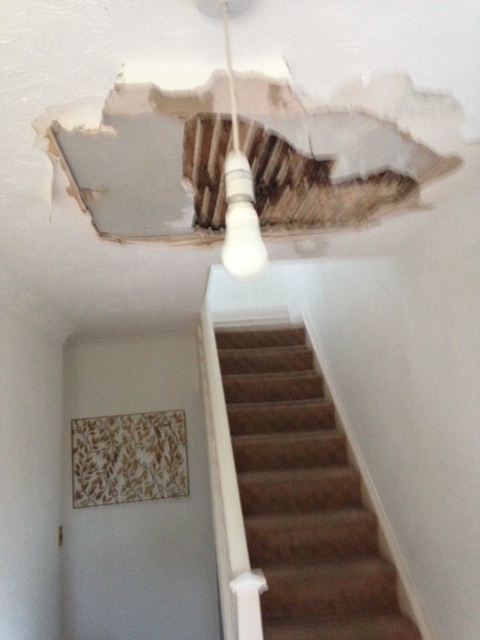 Plaster walls and ceiling, also fix cornice coving. 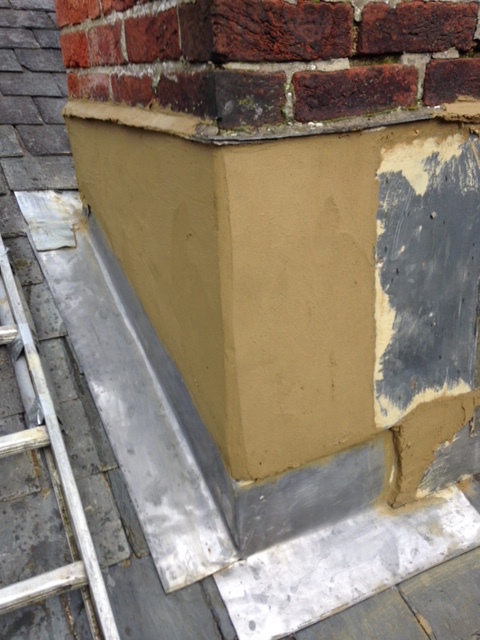 Scratch coat and render chimney stack where rain was coming into loft. 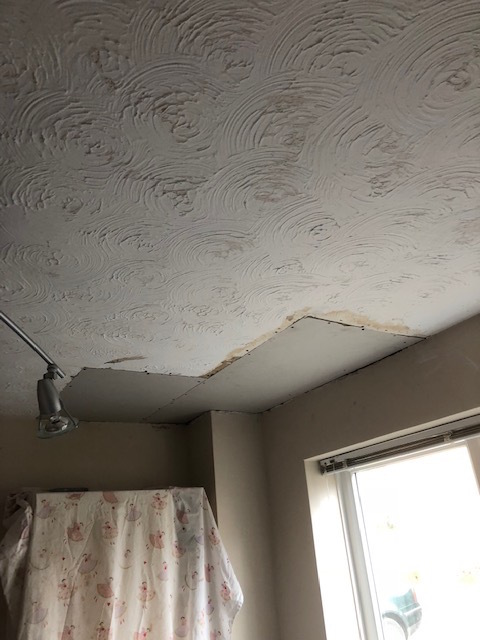 Insurance quote on a ceiling repair. 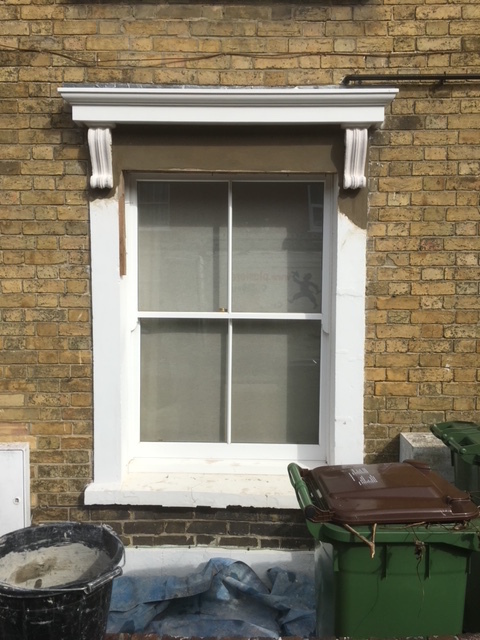 Broken/damaged Victorian window area fully repaired, render finish, ready for painting. 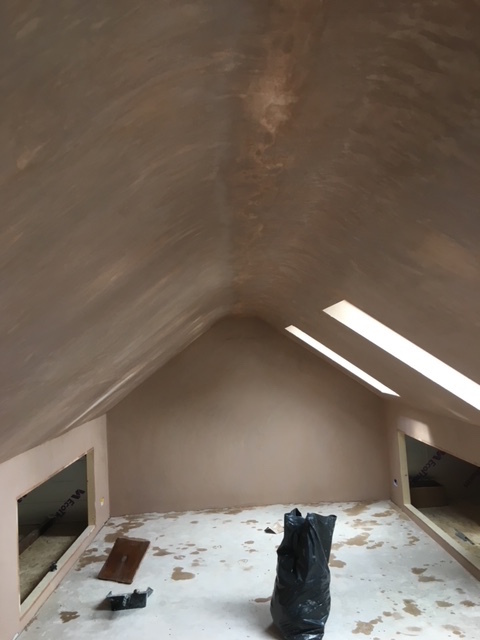 Loft room plastered over plaster boards ready for painting.